First and foremost it is all about local produce. Passionate about native Australian ingredients, Jessie celebrates the diverse array of colours and beauty found in nature in her cooking. She is determined to create a new ‘Australian’ cuisine by melding traditional Asian and European flavours and techniques with our beautiful native ingredients. 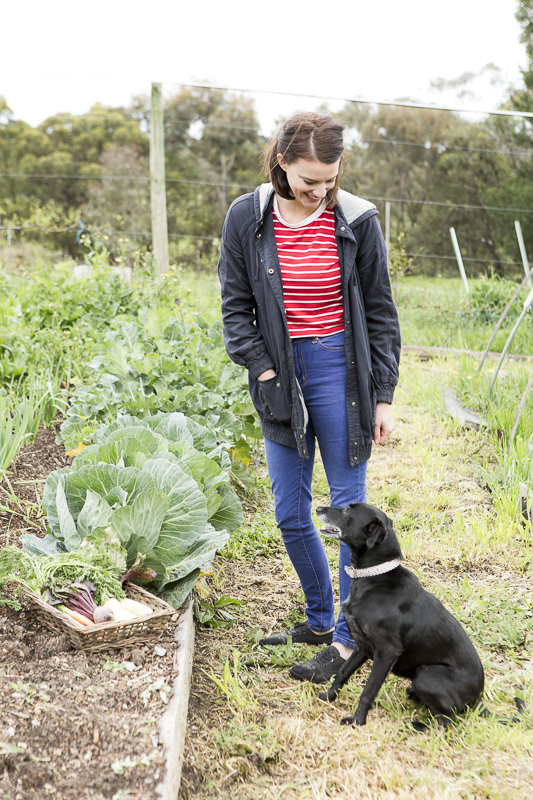 Since MasterChef 2015 Jessie has become a regular contributor for Rip It Up, Broadsheet, The Adelaide Review and Clique Magazine where she shares recipes and cooking tips to readers. You’ll also find her travelling about the country for the Food & Wine Expo, Tasting Australia, Westfield Shopping Centre appearances, Adelaide Central Market and Farmers Markets where she holds cooking demonstrations and intimate master classes. Passionate about reducing food waste, Jessie never misses an opportunity to spruik the good work of OzHarvest and is a regular at fund raising events. She has even spent a few days in their iconic yellow vans collecting and redistributing food to those in need. Her passion for reducing waste recently extended to consulting work, which saw Jessie take on the role of Sustainability Manager for TEDx Adelaide in 2016 and saw wonderful waste reduction results and engagement. Working part-time at the Botanic Gardens Restaurant under Chef Paul Baker since leaving MasterChef has allowed Jessie to continue to grow her skills which she showcases in her catering business Jessie Does Food. Playing host to a string of intimate dinners and food events in and around Adelaide, Jessie Does Food popped up shop at WOMAD in 2017, curated Food + Booze + Dancing Shoes as part of Tasting Australia 2017 and is the go to caterer for Plant 4 events and weddings. Keep a look out for Jessie on Ben’s Menu this year where she features on several episodes sharing some of her favourite recipes. "Firstly. What a ride! All be it a bit of a rollercoaster ride for me. The experience was one which taught me to trust myself and re-affirmed my love of all things 'food'." 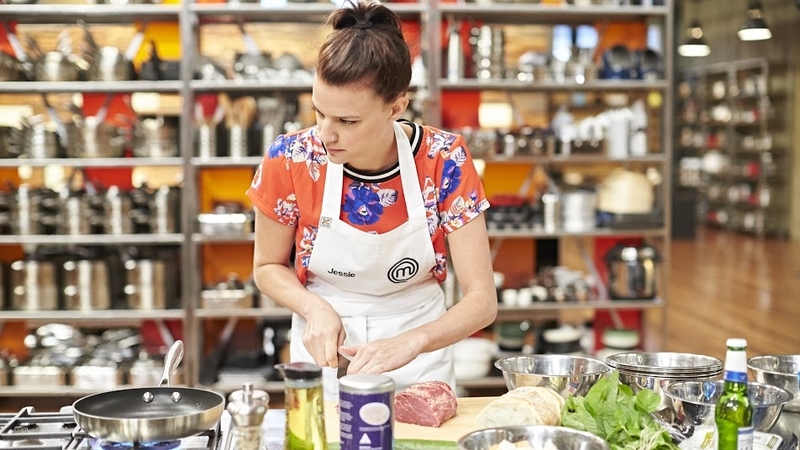 Making it all the way to the Top 7 allowed Jessie to really hone her 'cooking style' and also born a new love of savoury dessert making, one which she never would have discovered without MasterChef. "MasterChef allowed me to go out and represent myself as myself with a whole bunch of new people, so I surprised myself and learnt a lot about who I was. Follow Jessie on Facebook to find out where she is next! As a graphic designer Jessie would approach her design work by trying to find the beauty in the chaotic as well as the mundane aspects of the day to day. She loves colourful and grungy designs and has always found it hard to produce really modern clean work. "There is always a little smudge or an imperfect line but I've really learned to love that imperfection in my work." For Jessie, the way she approaches cooking is very much like the way she approaches design. She likes to think about the colour of food and how it will impact the plate, while also enjoying the imperfections that nature naturally gives to food. "I quite like things to look organic and as though they’ve just tumbled on to the plate, and I want every mouthful to be delicious. When I cook, I see it as though I am giving a part of myself on to the plate. I think when you cook you show respect to the person you’re feeding by showing respect to the ingredients that you’re using. I guess when I feed someone I truly feel as though I am giving them a little piece of me." Travel is a huge part of how Jessie came to be so passionate about food. "I have been lucky enough to have travelled a lot of Europe and parts of Asia and the thing that always sticks with me after visiting foreign countries is the way each culture enjoys food differently. Food is community, its heritage and it’s a sneak peak into another person’s way of life. I love nothing more than visiting the local markets and eating the local street food and just people watching. I have this weird thing where I really like watch people eat and enjoy their food! For me that’s a moment where people allow themselves to be taken away, and it is a simple way for me to bring pleasure into somebody’s life."